This week I heard a prominent Ghanaian preacher and motivational speaker railing against The Big Bang theory and evolution by natural selection as false and a figment of scientist’s imagination to deny God’s existence. Of course I wasn’t surprised by this, knowing the conservative nature of Ghanaian Christianity, which inevitably defaults to the view that science is against God. This preacher has also been known to be critical of African political leadership and governments (not just the current Ghanaian government) and seems to have dedicated himself and his church to the mission of equipping and encouraging an entrepreneurial spirit within the Ghanaian Christian community, so they can be rid of dependence on political leadership. This he intends to achieve via the medium of motivational speaking, constantly using the bible to teach people to discover their own personal potentials for success in life, and creating conferences and events to do same. This style of preaching has appealed a lot to the young, middle to upper class Ghanaians, who fancy themselves on a path of upward mobility – of living the Ghanaian version of “the American dream”. In fact it has become a standard gauge by which large numbers of Ghanaian middle class people gauge preachers , and in certain circles of Christianity, that is virtually all that is preached – how one can be a personal success. Which is why I’m going to take a lot of flak for this post because I’m questioning someone who is almost revered in Ghanaian circles for his “wisdom”. But needs must. So what is evolution by natural selection? Well, speaking from a lay man’s perspective, Charles Darwin proposed a theory in 1859 through his publication “On the Origin of Species” that living beings evolved different features of themselves by adapting to the environment in which they found themselves over thousands of years as a means of survival. In essence then, failure to adapt would lead to extinction. Someone described his theory as “the survival of the fittest”, and Darwin accepted it as a good description of his theory, and so the term stuck with us to this day. It is the foremost scientific theory today to explain how we all got here. Of course this challenges the common Christian perception that all creation, including human beings were created through God calling them into being out of nothing, and not through a process of adaptation and evolution. Hence Darwin’s theory has not gone down well with many Christians and has been met with open hostility, including the perception that science is out to discredit the Bible. Whether that is the case and whether this hostility is warranted or not is not the point of this post. What is more worrying however, is that the more I listen to motivational preachers (at least the Ghanaian ones), the more I find them in line with the principles of natural selection, despite the fact that they vehemently deny it scientifically. Unintentionally, they promote Social Darwinianism, an economic theory which posits that the strong should see their wealth increase whiles the weak should see theirs decrease. Let me explain. At the heart of motivational teaching is the individual. Motivational teachers focus on inspiring the individual to attain their highest possible potential. Though they deny it, the attainment of such potential is inevitably measured in terms of attaining success in one’s chosen career, increasing one’s ABC’s (attendance, buildings and cash) if one is a preacher, being a successful entrepreneur, having a good marriage and well behaved children in good schools, being a leader in one’s field (work, politics) and a lot more. As with everybody else who reads the bible with a filter, their filter is one of discovering “principles” that can be applied by the individual in pursuit of these goals (I once met a Christian who said that all one needs to do is read the book of Proverbs and one will be “successful” in life). Therefore proof-texting i.e. picking texts out of their historical and textual contexts is the order of the day. Because their measures of success are not very different from the world’s own, it’s not surprising to find a lot of business ethics taught by secular business coaches being preached from the pulpits of such preachers in the name of motivational preaching. As a Ghanaian musical critic, Koda, mentioned in his song “Nsem Pii”, one wonders if one is in a business school or in a church when such secular business ethics are being taught as “keys to success” for Christians. As a result of the above mentioned point then, there is a lot of appeal to secular heroes, especially in the world of business and politics, to drive home their point. Fused with a modernist desire to see more “progressive” society, there’s a constant appeal to societies that are considered to be “progressive” ones, and in the Ghanaian case, Europe and America is the constant benchmark. Our African context can produce very little good, and a gloomy picture is inadvertently painted about us as a failed people and the West as the best thing since sliced bread. And when all of this is then fused with a teaching derived from the bible that one needs to “sow a seed” to make these kinds of “success” show up in one’s life, it forms a potent and explosive mixture whose appeal cannot be resisted, especially by the middle class who seek more than they already have, and who can afford to “sow” such seeds. Everything then boils down to the individual and their ability to appropriate these “principles” to make these things happen in their lives (coupled with exercising the right amount of positive-mindedness, appropriately labeled “faith”, and of course to tip God’s hand with a “seed” or two). In the grand scheme of things then, this is a more polished version of “Everybody for himself, God for us all”. They simply are giving people the tools to do the “Everybody for himself” part of that statement. Here are just a few of the reasons why motivational teaching in church is so dangerous. At the core of motivational teaching is the individual and their own self-fulfillment. At the core of the Gospel is Jesus and his church. Therefore although motivational teaching may appeal to Jesus or the bible, it’s fundamentally flawed orientation means Jesus only becomes a means to an end – each individual’s own ambitions are glorified as what God desires for them aka “success”. Motivational teaching has very little impact on systemic evil. Protestant Christianity in general has had a very poor self-understanding of the church community as God’s means of standing up against evil, primarily because the Gospel has been posed as a means of individual salvation for centuries upon centuries. This has led to its participation in violence, racism, slavery, sexism, segregation etc without even thinking twice, because “it’s all about how one gets one’s personal ticket to heaven”. Caught in this historic trap, simply teaching individuals to live up to their own personal potentials means their scope of vision is limited to what they can do as individuals about any situation, not how they can lay down their personal ambitions to work with each other for God’s ambition he has defined for his church. Because one’s personal ambitions become synonymous with what God wants, motivational teaching leads to a greater pursuit of independence, not dependence (despite the 58 “one anothers” in the New Testament). Even when one feels the need for dependence, it unwittingly drives its adherents towards seeking relationships that will only enable them to achieve their personal ambitions – which means the rich will seek relationships with the rich, ignoring to be with those for whom there’s no obvious benefit being in a relationship with aka the poor, uneducated etc as modeled by Jesus. In the end, motivational teaching furthers segregation. Motivational teaching assumes homogeneity. Even though it’s teachers claim that we are all not the same and must each fulfill our own destinies, it still works with the assumption that we all begin with the same set of opportunities. Therefore it assumes that once a person does “enough” – where “enough” can be “enough hard work”, “enough smart thinking” or “enough positive thinking” etc, one can “be a success”. It fails to recognize privilege – that some people are more predisposed to “success” than others simply by virtue of where they come from, what education they’ve received, the social connections that their parents have that they can tap into, the environment created for them during their childhood to flourish in, the abuse that one may have suffered growing up which may have created some handicaps etc. Because of the assumption of homogeneity, its individualism and confusion over the task of the church, motivational teaching and its adherents take very little practical steps to work at elevating those who are less privileged, in contrast to Paul’s statements in the New Testament that “the parts that we think are less honorable we treat with special honor. And the parts that are unpresentable are treated with special modesty” (1 Cor 12:23). Despite all the “wisdom” coming from the pulpits of our leading “motivationalists”, have they wondered why the poor, uneducated Ghanaian doesn’t come to their church to receive such “wisdom”, and yet go to those they claim are “charlatans” to be deceived and abused? Have they wondered if perhaps their message and their practice actually only works for those who are already on the upward drive, and not for “the least of these” that Jesus spent the most of his time with in 1st Century Galilee and Judaea? Motivational teaching makes heroes of secular people, whiles leaving Jesus’s own example of self-sacrifice for the other behind. The problem of finding our examples and way of life from elsewhere instead of from Jesus is a long-standing problem in the church, but in motivational teaching this is magnified to gargantuan proportions. It is so bad that it swallows bare-faced capitalism hook, line and sinker without any form of discernment. I don’t need to be detailed on this one. Just listen to most motivational speakers and you’ll see no difference between their view of life and that of notable capitalist business moguls. And yet when Mary was told she was to give birth to the Messiah, she sang “He has filled the hungry with good things but has sent the rich away empty” (Lk 1:53). That’s some pretty strong stuff. For me there is some dissonance between the loud protestations against Darwinian evolution and the modern day “motivational preaching” movement. Because at the end of the day, no matter the protestations of this movement, their teaching is all about the survival of the fittest – about how one’s personal “potential” is king and one’s survival, along with one’s family is paramount. And what could be a more apt description of Darwin’s theory of evolution by natural selection than this? And maybe the reason why most of us middle to upper class Ghanaians have bought into it wholeheartedly is that we’ve fallen into the trap that prevents us from reading Genesis 1-4 not as a statement against evolution, but rather as a reminder never to get to the place where we respond to God, as Cain did, “Am I my brother’s keeper”? 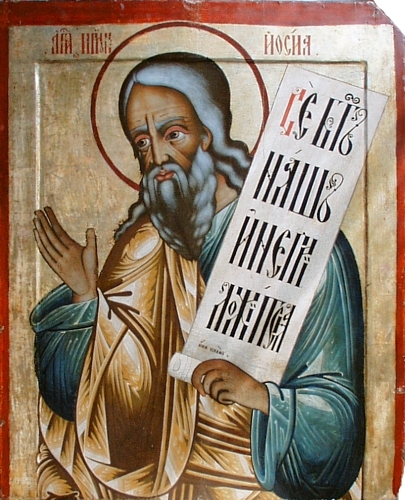 “Hosea” by 18 century icon painter . One of the sections of the bible that used to get me all confused and riled up in my reading of the bible, especially the Old Testament, was the prophets. From the books of Kings with Elijah and Elisha, to the Major and Minor prophets, it had been very difficult for me to understand what exactly qualified these enigmatic, weird people as prophets. But with a better understanding of the history of the people of ancient Israel, I think I get them now, though they still mess up my brain in more than a few places. And with that understanding comes a certain feeling of sadness at watching people getting confused by the recent wind of “prophets” and “the prophetic yyyy” (where yyyy is any fashionable term like “encounter”, “movement” etc) that is blowing across the Ghanaian and Nigerian Christian landscapes. But let’s plow on, and you’ll see where I’m coming from. I wrote a little bit about this here, but will add some additional points to that in this post. Many people are referred to as prophets in the bible. Some of these include Moses, Samuel, Eli, Elijah, Elisha, Isaiah, Jeremiah, Ezekiel, Daniel, Hosea, John the Baptist, Jesus of Nazareth etc. I believe that there are certain key themes by which one may understand their activity and why they did what they did, before one can translate to what we should expect of prophets today. These themes are “creational monotheism, election and eschatology” of which I wrote a series based on NT Wright’s “New Testament and the People of God” here. You see, the people of Israel believed in Yahweh as the one and only real god and creator of the heavens and the earth (creational monotheism). They believed Yahweh had chosen the nation of ancient Israel as his “called out” people with a task to be a blessing to the rest of the world (election). As part of his covenant with them, he’d given them the Torah by which they must live so that they will sustain their status of being elect before God, and also fulfill his task of them being a blessing to the world. Also they believed that Yahweh had intentions of fixing the problems with this world, and he himself coming to dwell with amongst men in his own time (eschatology). These 3 themes can be shown to be the pillars that underlie much of the activity in the OT and NT as well. Using these themes to evaluate the prophets of ancient Israel and those documented in the NT, we get 2 clear pictures of what prophets and prophecy was about. Ensuring that the people of ancient Israel remained faithful to Yahweh as their only god, and listening to him only. Keeping the terms of the covenant as given to them in the Torah, so that they will show their faithfulness to Yahweh and will keep Yahweh’s favor on ancient Israel. Because ancient Israel as a nation had a covenant relationship with Yahweh (a point which we’ll come to later), and the nation always had leaders amongst them (either as judges or later on as kings like David, Solomon etc), it was obviously expected that ensuring that the leaders of the nation did the right thing will lead to the nation as a whole doing the right thing. This is not rocket science, and a principle of human societies well proven over the course of history. One perceives therefore a close relationship between the earlier prophets like Eli, Samuel and Nathaniel and kings like David, Solomon etc. The point of the prophets relationship with these leaders was not as people that David could consult as to know how many slices of bread to eat in the morning, but as people who had insight from God as to the nation’s direction, as well as the leader’s choices which has an effect on the whole nation. However, over time the relationship between these prophets and their leaders became fraught with tension, as evidenced by Ahab and Elijah/Elisha. Because as prophets they were supposed to be people who were zealously guarding the nation from going against Yahweh’s and his covenant relationship with the people, Ahab’s flirtations with Baal via his wife Jezebel would definitely not sit well with them. In addition, the more these leader’s desires departed away from faithfulness to Yahweh and the Torah, the more the nation drifted to idolatory, injustice and oppression, as worshipping these other gods always led to. Being men of insight and power from Yahweh, he did of course use them to perform some miracles to show that Yahweh was still Lord over the world, but as we will see, that is not what qualifies them as prophets. they spoke vehemently against idolatory, and the danger of relying on other nations for their security instead of on Yahweh (which was further evidence of lack of faith in Yahweh and rather reposing faith in the god of the other nations). Their warnings sounded a lot like “love the Lord your God with all your heart and soul and mind”, spoken by a certain Jesus of Nazareth. They spoke of injustice, of the treatment of the poor, the stranger, the widow and the fatherless. They sympathised with the downtrodden, and criticised those who had the power to change things but rather defended the wicked and horded to themselves. This was again a betrayal of their election and purpose as encapsulated in the Torah. Their warnings again sounded a lot like “love your neighbour as yourself” to this same Jesus of Nazareth. One will note that few of all of these prophets were active in performing miraculous signs. The real basis of their qualification was whether they spoke the mind of God concerning his nation Israel, especially whether they called the nation to focus on Yahweh and repent of their idolatory and wickedness towards one another or not. In the Gospels, 2 people are named as prophets – John the Baptist, and Jesus of Nazareth. Both of these had 2 things in common – they criticized the people for their lack of faith in Yahweh, especially their constant appeal to violence to remove their “enemies”, the Romans; and secondly, they identified with the downtrodden, hopeless and desperate. John the Baptist spoke of a coming wrath if they didn’t repent and “produce fruit in keeping with repentance” (Jn 3:7-8). And when asked specifically what to do, he advises them to pursue justice and compassion, saying “Anyone who has two shirts should share with the one who has none, and anyone who has food should do the same”(v11). He encourages the tax collectors not to be corrupt, and the soldiers as well(v 12-13). John shows the 2 classic concerns – faithfulness to Yahweh and observing the Torah, including its call for justice and compassion. Jesus is also called a prophet by many in the gospels, and for good reason. He definitely was more than just a prophet, but for the people to have considered him to be one, he must have shown traits that the people of ancient Israel already knew was common place for true prophets. In this regard, Jesus didn’t disappoint, for he showed that faithfulness to him was now equal to faithfulness to Yahweh. Also not only did he lay an emphasis on justice and compassion, he acted it out fully, identifying with the poor and oppressed, the outcast and the downtrodden, and encouraging a redefinition of who was our neighbour and how his disciples should care for one another. As can be seen from this whole survey so far then, prophets were people who were zealous for faithfulness to Yahweh and conformity to his law. They didn’t mind how people mistreated them or hated them for speaking the truth of Yahweh’s mind about the people’s non-conformity. They did this knowing that Yahweh indeed had a special relationship with them ancient Israel, and they needed to continue to be faithful to their side of the covenant for him to be faithful to his. Bringing these lessons to our Christian world, the following observations can be drawn. Yahweh’s people are now defined as all who are faithful to Jesus the Messiah, whether Jew or Gentile aka the church. Prophecy must therefore expend itself mostly about keeping the church in faithfulness to the Messiah, by doing the one thing he asks – taking up it’s cross and following him. The same concerns of justice, peace and compassion that characterized Yahweh’s Torah continue to persist with an even more hammered stress under Jesus the Messiah in the Gospels. Prophecy must remind the elect people of God (the church) about how faithfulness to the Messiah means being busy about his task for the church as expounded in the Gospels, same as true prophets did from Moses to John the Baptist. That is why when Paul writes about prophecy in his epistle to the Corinthians, he encourages them to desire it more than tongues speaking (1 Cor 14:1), because it was a gift meant to direct and guide the whole church as God’s elect people. As with all other gifts, this was also a gift “given for the common good”(1 Cor 12:8). This gift then could serve to guide the church to navigate the difficulties that it will face in attempting to follow the Messiah, and to keep the focus on his tasks set out for the church. This gift was beneficial to Paul when Agabus told him of what suffering he was to face, but taking on the attitude of his master, he still went ahead to face that suffering anyways. In the midst of all this then, I find it sad to watch the “prophetic” landscape and fever that has gripped sections of Ghanaian and Nigerian Christianity. Some prophets claim to be giving football predictions, predicting natural disasters, plane crashes, presidential illnesses and deaths, prosperity and success, marriage partners and the like. Not only have they missed the plot, they are not even acting in the play. Some are posing themselves as advisers to national presidents and governments (appealing in a flawed manner to OT prophets, not realizing that Yahweh has no covenant with the nation Ghana or Nigeria, but to his church). Others are busy gathering people to them so they can tell them what they want to hear, rubbing the bottle to reveal a genie god ready to fulfill all their desires. Our prophets are loved and celebrated as “men of God”, when they should be hated for speaking the truth and condemning the corruption, injustice and division that exists in our churches, before even talking about what exists in our societies. With these kind of prophets, the only people who will find compassion are the rich, the only people who will have peace are those who are already soaked in violence, the only people who will receive justice are those who have the money and power to buy it. And that, my friends, is what false prophecy led to then, and will lead to now. There are certain ways in which Christendom has conspired, mostly unintentionally, to deprive the Gospels (Matthew, Mark, Luke, John) of their compelling power to shape the lives and activity of the Christian. It is not for nought that the NT ethicist Howard Yoder’s “The Politics of Jesus” had such an impact on Christian theology with his critique of much of Christianity’s attempts to define Christian behaviour not based on the pattern that Jesus laid down in his life and times as recorded in the Gospels, but instead finding our patterns from either misconceived interpretations of Paul’s letters, or our own “experiences” of the world. One of such marginalized practices is the simple, “carnal” activity of eating together. Mark Moore documents 36 mentions in the Gospels of Jesus either feeding people, or eating with people. This by the way is many more times than certain things that some Christians use to evaluate their fellow Christian’s “spiritual level”, but that’s a story for another day. Mark concludes with the following statement. And yet it’s so amazing how amongst today’s disciples of Jesus, eating together has been so diminished of it’s power. The fact that after all the numerous explanations of Jesus was advancing to his 2 friends on the road to Emmaus, sitting down and eating with them is what finally clinched it should tell us there is something about sitting and eating together under the Lordship of Jesus Christ that we might be missing out on. Let me illustrate with a small experience I had at my church. The Jesus Community in Agbogba is a small home church with a membership less than 20. We do eat together regularly as and when we have the opportunity to do so, aside of taking the Lord’s Supper every Sunday. In addition, we never spare the chance to have a good meal together during special occasions like Christmas, and this Christmas was no exception. The fact that I actually drove for an hour to Kpong by the Volta River from Accra to buy tilapia fish for the Ghanaian favorite “banku and tilapia with pepper sauce” should tell you that we kid not with the Christmas party. “Then Jesus said to his host, “When you give a luncheon or dinner, do not invite your friends, your brothers or sisters, your relatives, or your rich neighbors; if you do, they may invite you back and so you will be repaid. But when you give a banquet, invite the poor, the crippled, the lame, the blind, and you will be blessed. Although they cannot repay you, you will be repaid at the resurrection of the righteous.” (Lk 14:12-14). Now a disclaimer is in order here. When we have a “party”, we don’t intentionally invite the lame, the cripple, the blind etc. We simply not have much resources now to throw such a party, and we hope for a time when we can actually do so in the near future. However, my church community is dominated by the urban poor, and especially during Christmas parties like the last one, some of our members do invite other friends, some of whom may also be in the same economic state. In the end, food and games unites us all as we celebrate the birth of Jesus the Christ. Eating with one another so often, without regard to each other’s social, economic or tribal status enables the creation of friendships that go beyond the surface. We develop bonds of closeness and empathy, and when we find any brother in difficulty, one can hardly look at them and harden one’s heart not to do what is within one’s power to help. Reflecting over this simple act of eating together, I have learnt many lessons and realize how subversive Jesus Christ’s agenda is if we truly take the Jesus of the Gospels seriously. Most Christians have been fed an overly romanticized idea of how one may “feed the poor” or “help the poor”. The Mother Theresas and the Jean Varniers of this world who are able to leave everything behind and dedicate their lives solely to the poor and marginalized continue to be needed to dedicate their lives to these acts of mercy. But one doesn’t have to be like them before one can help the marginalized. There are many poor people around us, if we just open our eyes we will see them. You can start from your church community, because that is the place Jesus actually desires you to start from before going elsewhere. 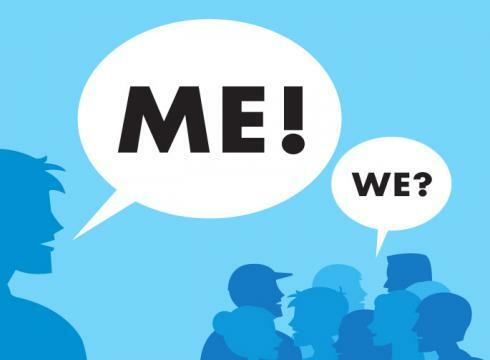 Our modern day love affair with individualism is so ingrained in us that we fail to realize that the tasks that Jesus gives to us in the Gospel cannot be achieved by individual Christian effort. I get the question very often “how can I help someone if I don’t have the resources”, where the questioner assumes that they alone are supposed to help the poor. But you see when the early disciples had problems with financial resources, it became a matter of importance to the church, and then individuals gave what they could to help relieve the problem. Without Christian community actually prioritizing economic justice as important in their midst and working to support it in any way or form, works of compassion becomes a “calling” that an individual person must find the will and resources to undertake on their own. Of course, this means very few people will be able to do so, and Jesus’s words in the gospel will need to be explained away with all sorts of permutations and combinations of theories. Whenever I hear another sermon from the Gospels being preached as if Jesus were giving motivational tips on individual self-help, without recognizing that the imperatives Jesus demands are meant to be lived out by the church community with one another, I shake my head in sadness. Coupled with the point about individualism above is church’s loss of identity as the agent of God’s will for renewal of this fallen earth in works of justice, compassion and peace, something they rather expect the politicians to be doing. Churches have resolved themselves to “save the souls”, and leave the bodies to the governments to devour. The current practice (at least in churches in Ghana) of taking all donations to the “headquarters” to execute a nebulous “work of God”, whiles local churches struggle to take care of the mounting needs of church members suffering under corrupt and unjust economic leadership in this country needs a total overhaul. I have lived within the town I live in now for 20 years, and used to attend a church here till I stopped attending. I have neighbours who are still members of this church whose economic fortunes have stayed the same or deteriorated in these years, even leading one person to experience mental problems. And yet some of these neighbours grumble to me about the church’s continuous plea for more donations to “do the work of God”, as if God does not care about their poverty. No matter how much an individual church member can give to these people, the community can give way more (and go beyond financial needs) if it was a priority that they could actualize. As it stands, church leaders are afraid of reprimand from the top, so the status quo stands. We live in the nation Ghana, where the large majority of our population lives below the poverty line. In the city of Accra, there are very few communities populated by only rich people. Because of the failure of our city authorities to enforce planning rules, there are “slums” in every suburb of Accra. If you find yourself running a Christian ministry full of only middle to upper class, upwardly mobile members whiles the population where your church is sited is actually dominated by poor people, one has to ask serious questions about your ministry. Are you actively excluding the poor, illiterate, socially excluded and oppressed class of people that Jesus so loved in the gospels with your ministry? Sadly, I find it ironic when some Christians wonder why so many mostly poor and illiterate Ghanaians seem to flock after pastors who these Christians consider charlatans(even if they don’t say it aloud that they are). The question I’d love to ask them is in what way is your “good church/pastor” actually working to make such people feel welcome and their voices heard? In some ways we must be thankful for these charlatans, for the conditions that existed in places like Nigeria to foster the growth of a terrorist group like Boko Haram are the same conditions that we are creating here, except that these “pastors” have not yet began to lead people to large-scale violence to solve their problems (though some do at a not-so-grand scale, like encouraging violence against one’s mother because she is the “witch” who is causing one’s poverty). There is a subversive power in sitting down and eating together, and doing so regularly. When the rich eat the same food with the poor, when the oppressor sits, thinks and talks with the oppressed, when the depressed finds joy in cooking or serving his brethren salivating whiles waiting for the food, all in pursuit of following Jesus and his vision of an upside down kingdom, something indeed does happen that the world doesn’t understand. The Gospels and their depiction of Jesus doesn’t become just nice Sunday school stories we tell our children, but real life scenarios that we can point to. I suspect there’s a reason why eating together has become a rarity in Christendom. It brings the real issues to the fore, it opens us up to the pain and suffering of others. It relaxes us to talk about our hurts and pains, our hopes and our disappointments. It pushes others present to want to do something about them. And that “something” can sometimes be dangerous to the empire-building desires of those at the top, be they political or church leaders. Because after all the wonderful meals together, if all you can think about is the pursuit of the next spiritual high or “prophetic” movement (interestingly it used to be “miraculous” movements a few years ago. Sigh …), the latest gadget in town, the next big car to own, the career competition between you and your contemporaries from school, or the next big church building “to the glory of God”, the next “pastor’s appreciation day”, then I have news for you. You might just not be following the way of Jesus. And following that way is all that matters.